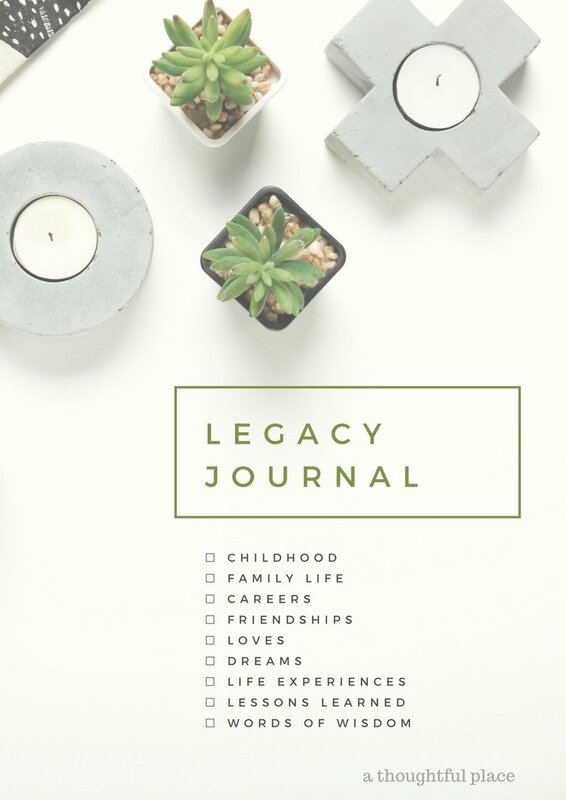 As promised, I wanted to share the idea of a Legacy Journal with you all. I mentioned it when I was sharing about Alzheimer’s and how it has touched our family. These journals became even more precious to us when my dad suddenly passed away. No matter how old you are, I encourage you to do this yourself and those that you love. My mom can no longer express herself, but to be able to open the pages of her journal and see her writing and read her words. It is truly priceless. Similarly, I now cling to the words my dad wrote. The concept is really quite simple. 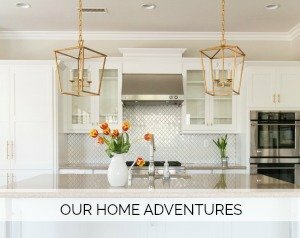 You can use my questions as a guide or create your own. I printed out the questions and pasted them into a journal. This allowed my parents to work on the questions when they were up for it. My husband and I plan to do this very soon that our children have them one day. Here is a template that you can download. Or you can simply use this as a roadmap and create your own personalized list of questions. Think about all of the things you really want to know. My parents can no longer answer the questions swirling around in my head, but I am so grateful they took the time to respond to all of these. I so encourage you to do this and please let me know if you do. Make it a great day. Courtney, this is such a thoughtful list of questions! I would love to do this with my parents. I’ve been thinking of you and your family, and your mom; you’re all in my prayers. The book I mentioned on Instagram is “All Gone: A Memoir of My Mother’s Dementia. With Refreshments” by Alex Witchel. It’s been a number of years since I read it, but it really stayed with me. I’m reading “My Two Elaines” – thanks for recommending it. I have toyed with doing something similar for my parents for a long time! I have seen books that you can purchase with these types of questions, but they just didn’t excite me. I also don’t want my parents to feel pressured by our request for completing. How did your parents react when you posed this idea to them? I agree Courtney, such a good idea. I had my parents do these for my kids and I have given them as gifts to some of my friends who have become grandmas. Treasured words for sure. I love this idea. Thanks so much for sharing. I have a couple books that have been given to me as gifts. They contain very similar questions. Need to get on that! I also have one for Christmas traditions to pass along.